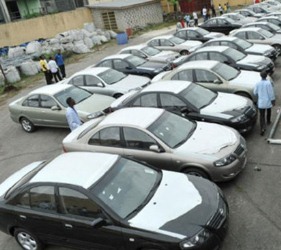 To encourage the winners of the 2010/1022 NPL, the Rivers State Governor gave out Cars and cash prize of 500,000 to each player while the coaches got N1m and a car. The Female football team - Rivers Angels- that won a trophy last year also received the same thing! This is the kind of gesture that makes people smile.....people should directly or indirectly feel what their government is doing for them. Tell me why these players will not go to the moon and back to win next year?